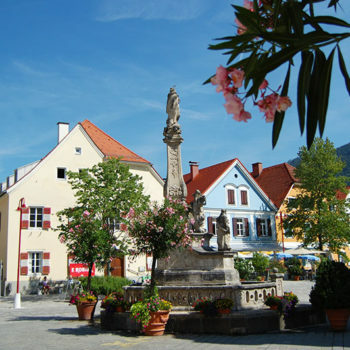 It’s said that Frohnleiten is one of the most beautiful small towns in Austria. 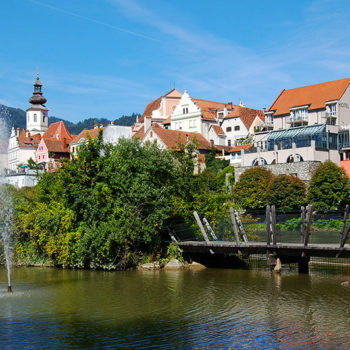 The location of the River Mur, surrounded by a lush mountain landscape and the well-preserved historic city centre, makes the place well worth a visit. 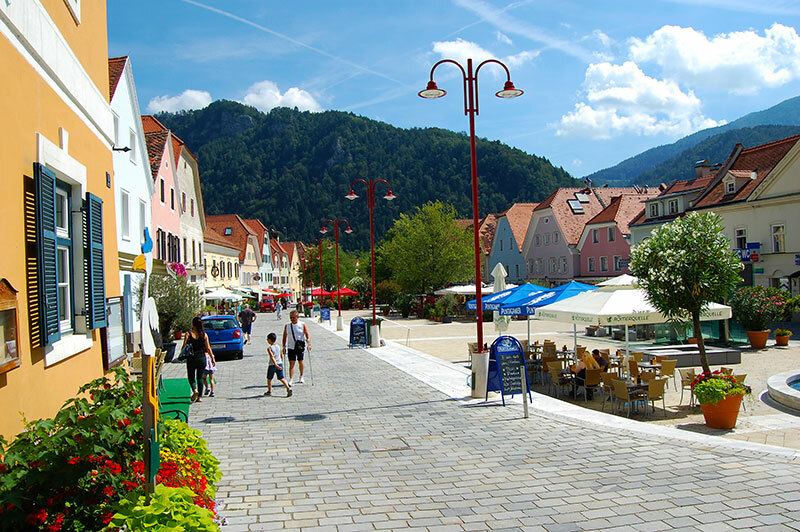 For once, we visited an Austrian town, not because they have well-known tourist sights or famous architecture, but simply because it’s a lovely town. 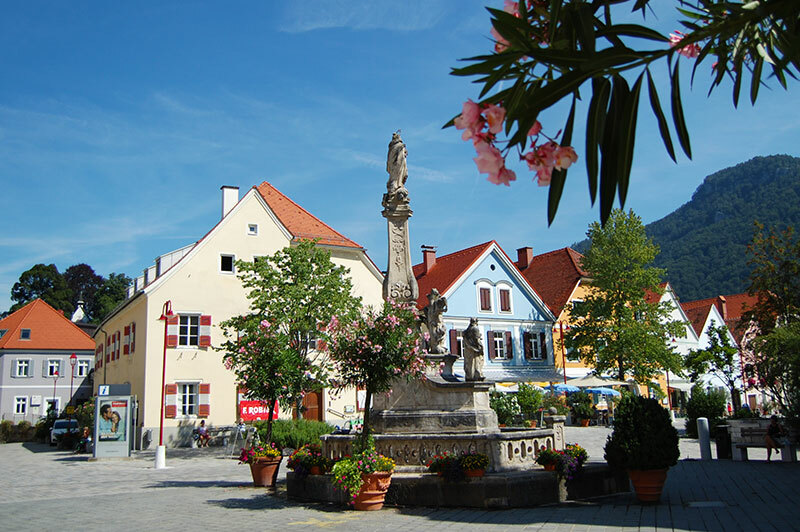 Frohnleiten has been able to modernize the city and, in particular the main square (Hauptplatz), without destroying its historical charm. The square is the lifeblood of the local community and where you find shops, banks, eateries and public offices. I started my tour from the southside of the river, went across the bridge and walked up the small hill to the main square. 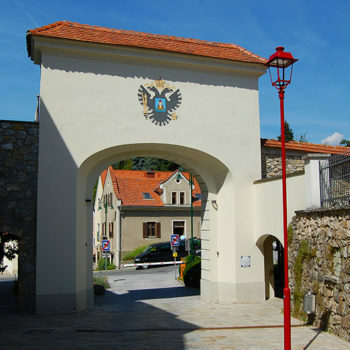 Getting there you pass through Tabor (from the 16th century), one of the old city gates. You will then get up in the corner of Hauptplatz. 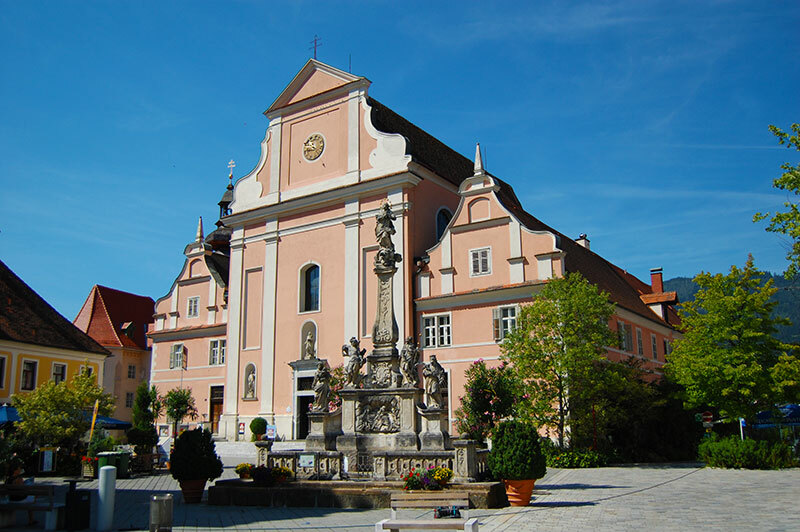 One of the many historic buildings around the main square is the distinguished parish church of Mariä Himmelfahrt, which is also part of a monastery. 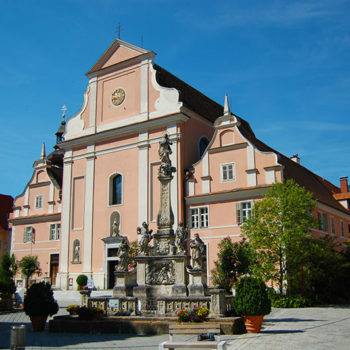 The church building you see today was built in 1763, after the church from 1677 had burned to the ground. The 17th-century court house, with its red and white shutters, is another great historic building that has been preserved. You can find it near the fountain at the north end of the main square. 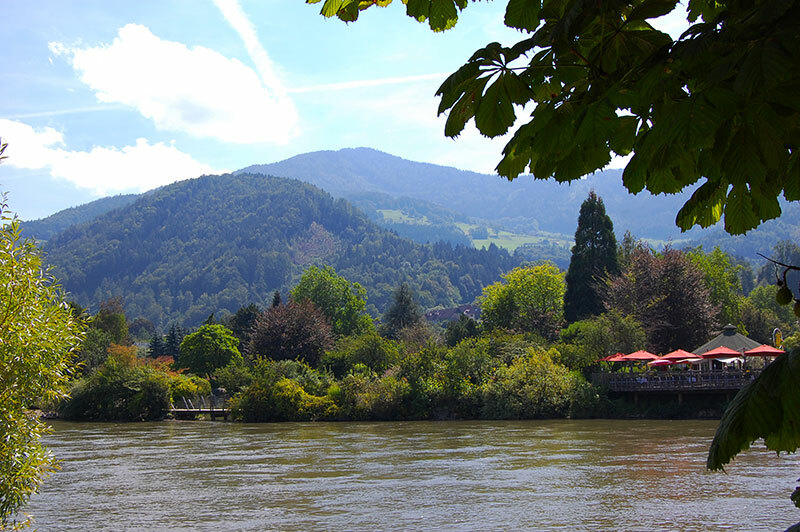 Although the main square within the city gates is the natural centre of Frohnleiten, you should not forget to explore the other side of the river. 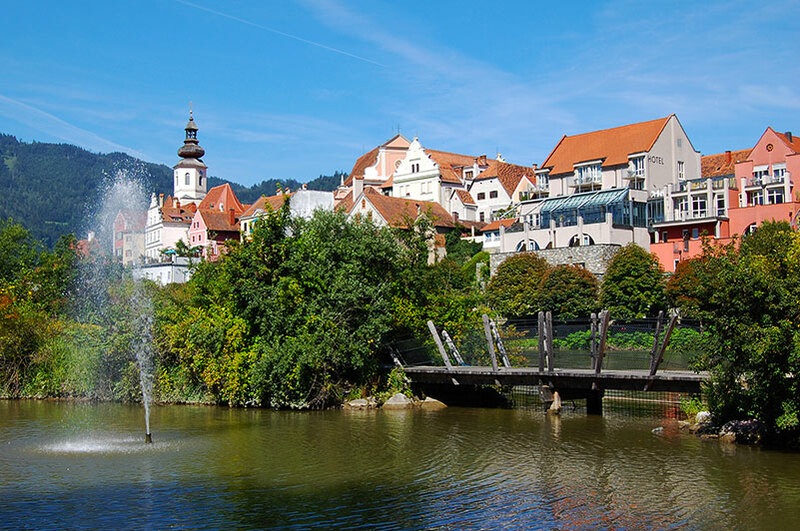 Not just to snap pictures of the beautiful façades, or rather the backsides, but also to enjoy the incredibly elaborate and beautiful park on the banks of the river Mur. 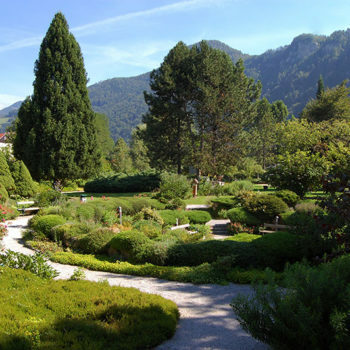 The park is a lovely place to relax with its small paths and plenty of seating. 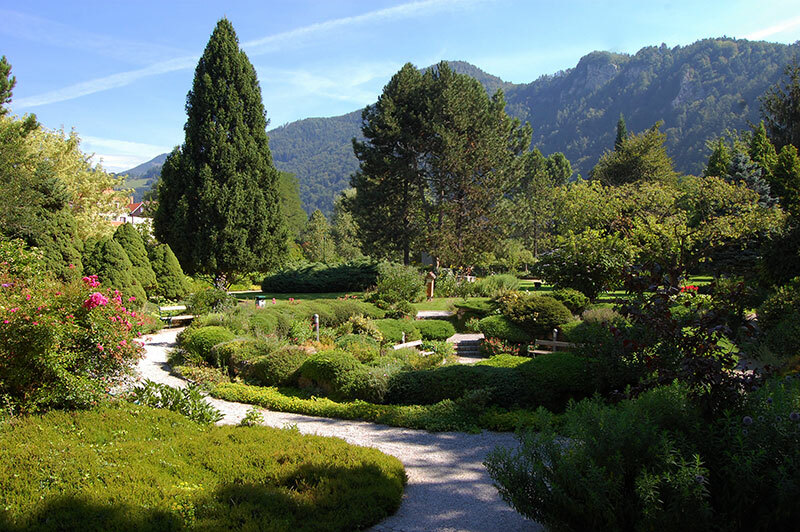 Frohnleiten also received a gold medal in the competition Entente Florale in 2000 as the most well-groomed and most splendid flower decorated town. 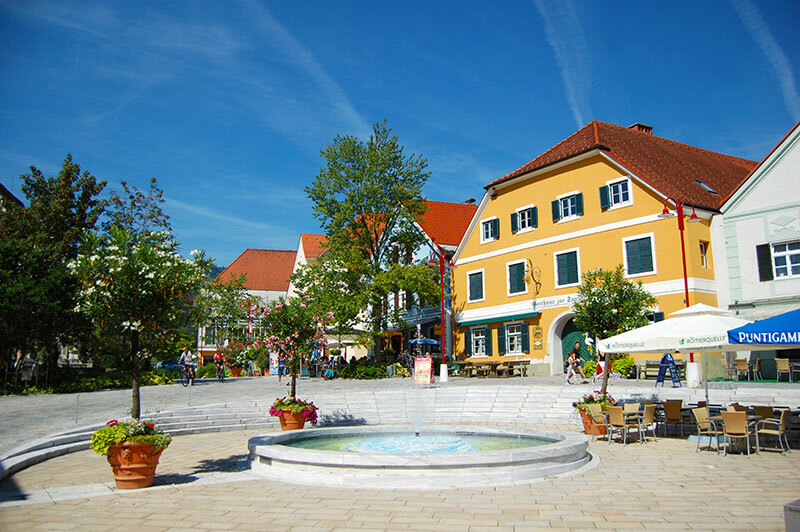 Like many other towns around Austria, Frohnleiten grew strongly during the last part of the 1200s (Middle Age), as a result of an explosive population growth in Europe. 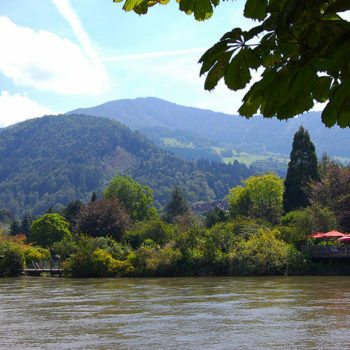 Count von Pfannberg, ruling the region at that time, built a bridge over the River Mur, thus paving the way for what would become Frohnleiten. 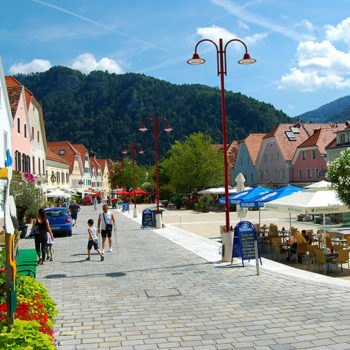 The town grew over the centuries as an important market town and currently has 6700 inhabitants. 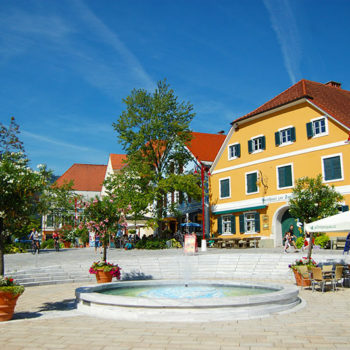 Frohnleiten is 30 km or 25 minutes by car north of Graz. 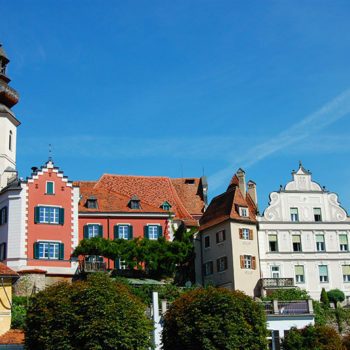 The city is also located on the main railway line between Graz and Vienna. 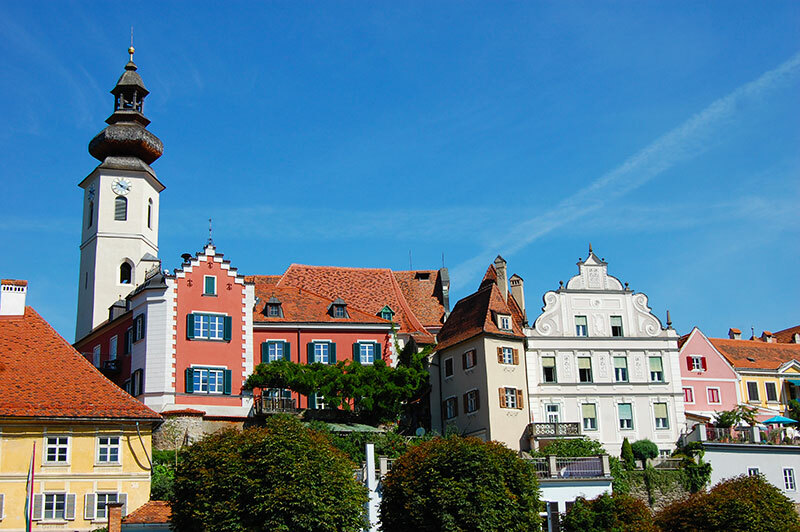 If you are in Graz for a few days, it’s well worth a day trip to Frohnleiten, either by train or by car. 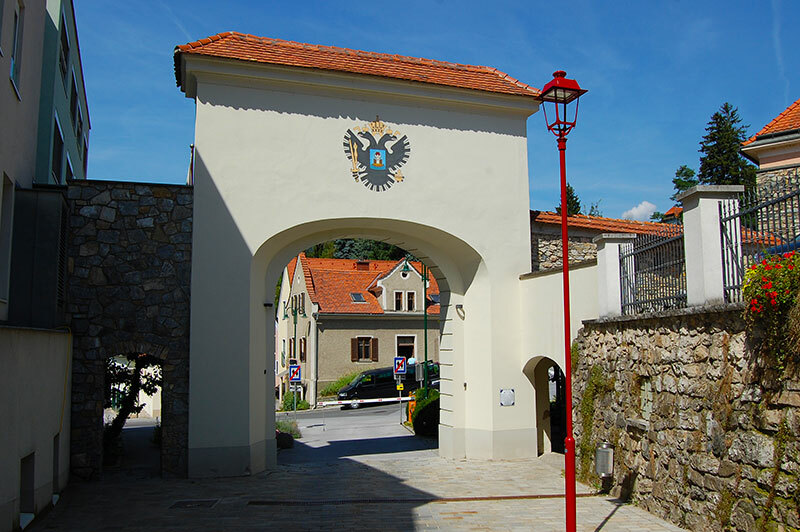 If you are traveling through Styria on the A9 there it’s a short detour and a nice place to stop for some food and drink.